It was a beautiful November Sunday afternoon headed into a Baltimore Ravens football game on the Sunday before Veterans Day. What should I have expected? Firstly, I didn't expect to be going to a Ravens game nor did I expect the weather to be idyllic. Walking along the Ravens walk, however, I discovered two fully restored venerable vehicles from World War II. 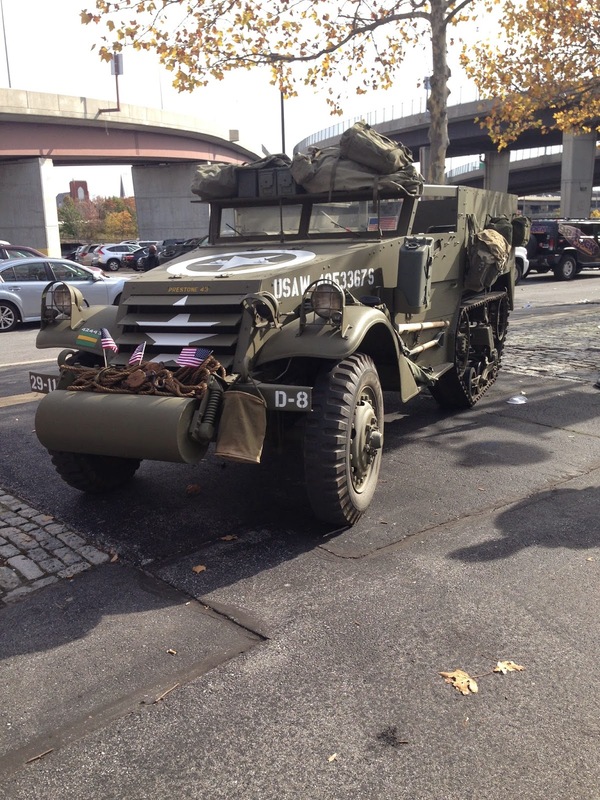 A half track and a Willys Jeep. I remember watching television shows and movies with both of these vehicles in them and I never realized how reliable vehicles like these helped to change modern warfare. They seemed out of place amid the throng of modern day football fans and many of whom barely paused to notice there historic machines. By keeping my eyes ope, I discovered something that did not seem to belong.